Coherence cache is act like a store where we can put database data and made it available for different application, Coherence cache serves as intermediary between database and client application. 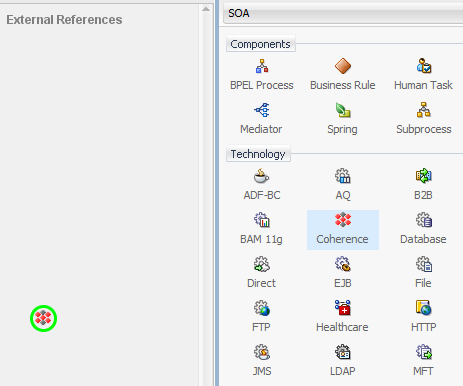 Oracle has come up with coherence adapter in SOA 12c release. We can perform below operation with coherence adapter. 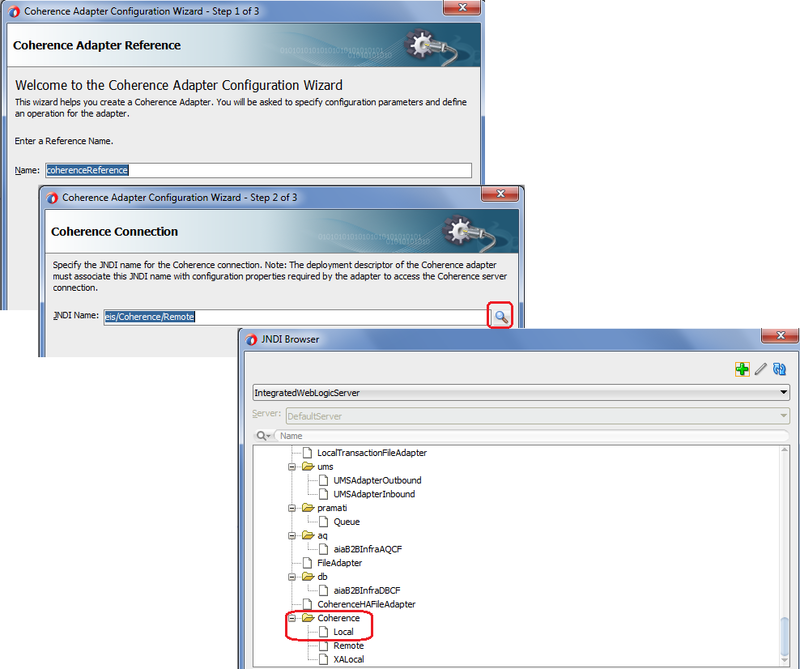 In this post, we will see how to configure coherence adapter for Get and put operations. 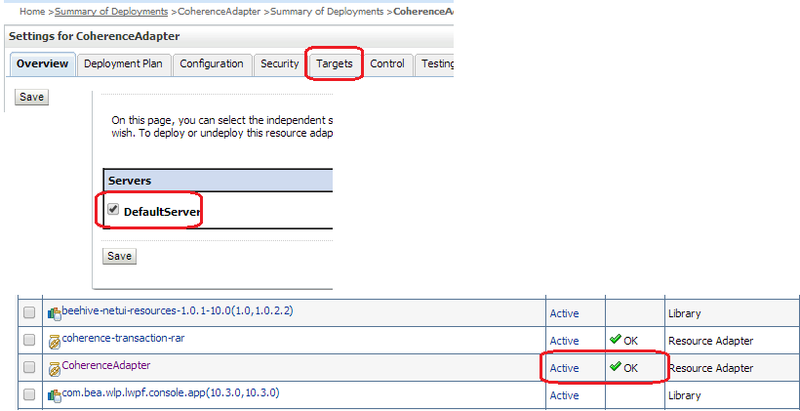 By default coherence adapter is in Installed state so first of all we need to make it active. To make it active, open the admin console and go to deployment. You will see coherence adapter is in Installed state. 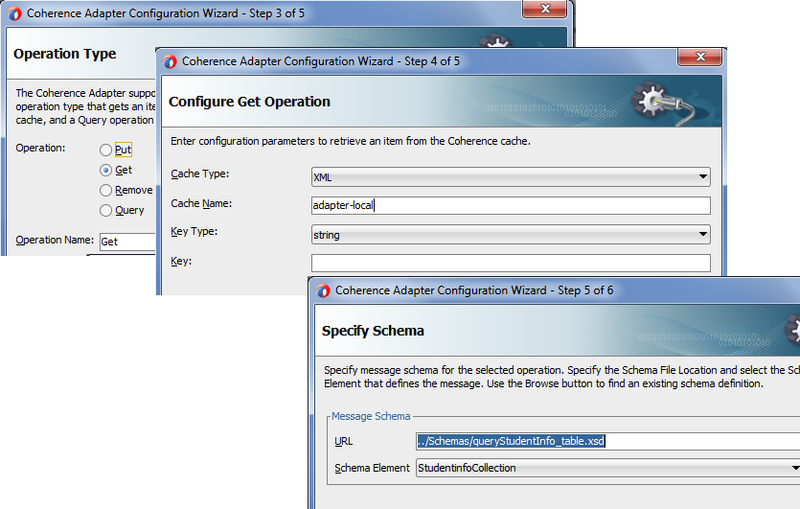 Click on Coherence adapter and go to Targets tab. Choose DefaultServer as target and save it. You will see coherence adapter is in active state now. 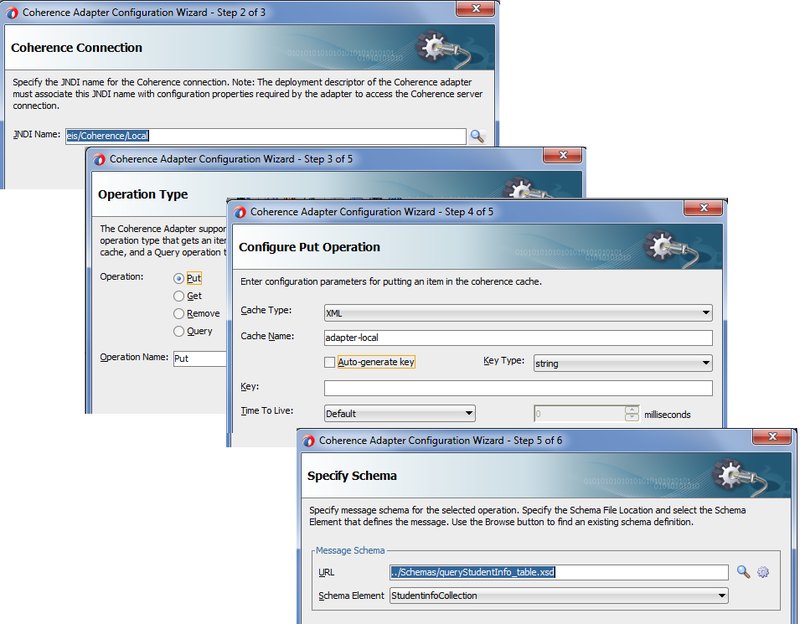 Now we will configure coherence adapter for Put and Get operations. Below configuration is same for all operations. Drag coherence adapter to composite pane and name it as per your naming standards. Now choose the coherence JNDI, there is three types of JNDI Local, Remote and XALocal, since we are connection to local coherence cache so we choose local coherence JNDI. We use this operation when we need to send database data to coherence cache. Choose Put operation and click on next. Then in next screen choose cache type, we choose it as XML. Provide the Cache Name, by default use “adapter-cache” as cache name. Click here to see why we are using "adapter-cache" as cache name and click here to see how to use custom cache name. Either you can auto generate the cache key or you can also set it at run time. Choose the required schema. We use this operation when we need to get data from Coherence cache. Choose Get operation and provide cache name. You can provide the cache key here or you can set it at run time. Nice article on new stuff. For integrated weblogic server we will use jndi eis/Coherence/local but which JNDI we have to use in cluster environment ? where exactly remote JNDI used ? ?